At the start, we want to say how grateful we are to all the backers who helped us to reach 40% of our main goal in only 4 days! Reading all your supportive comments and feedback is absolutely fantastic! There are so many positive reactions around the internet that the only thing we want right now is to work even harder! We already gathered a lot of ideas for the development of The Blind Prophet from our community, and we hope that you can keep your suggestions/reports incoming, as there is always a space for improvements. To mark reaching another milestone with fanfares, we are happy to announce that the start of the new week brings some of the requested changes in our game! This time, we focussed primarily on the English translation and fixing the reported bugs. 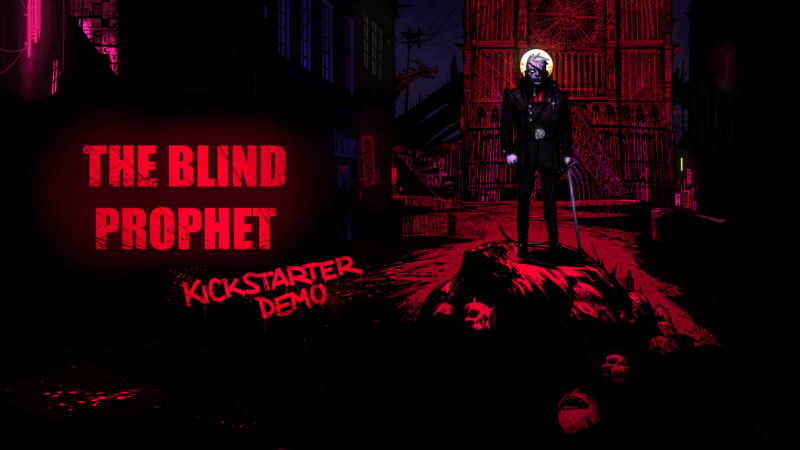 To play the updated version of The Blind Prophet demo, please download the attached file. The Kickstarter is Launched !